This is another stash buster... 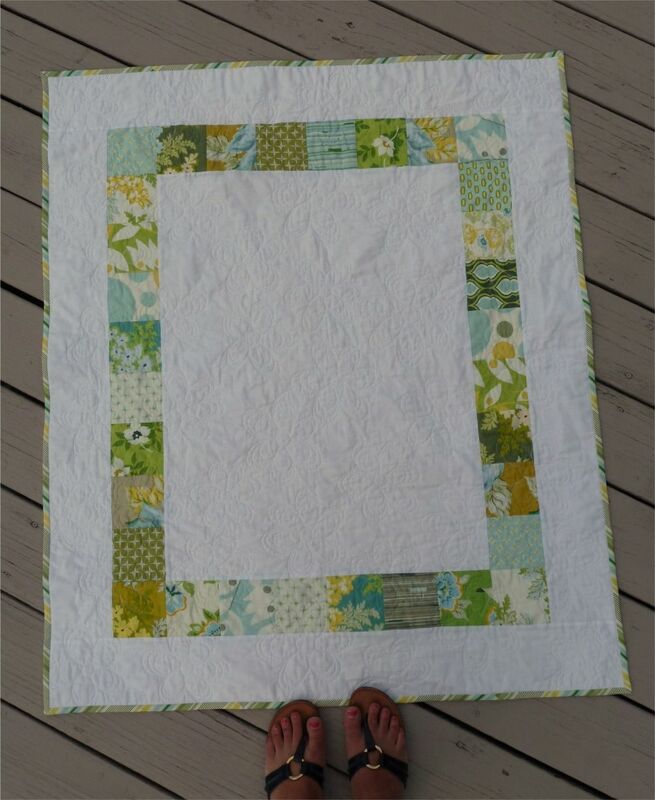 I pieced this top ages ago with scraps from my Nicey Jane Stripper quilt. 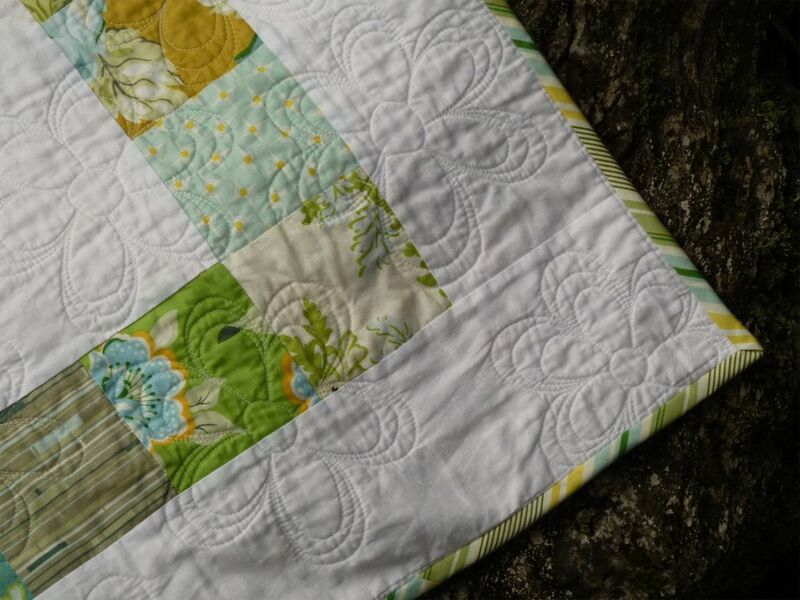 The white is a sweet little tone on tone floral I used in this Garden Twist quilt and the back is just a solid (Amy Butler?) blue I found lurking in my stash. 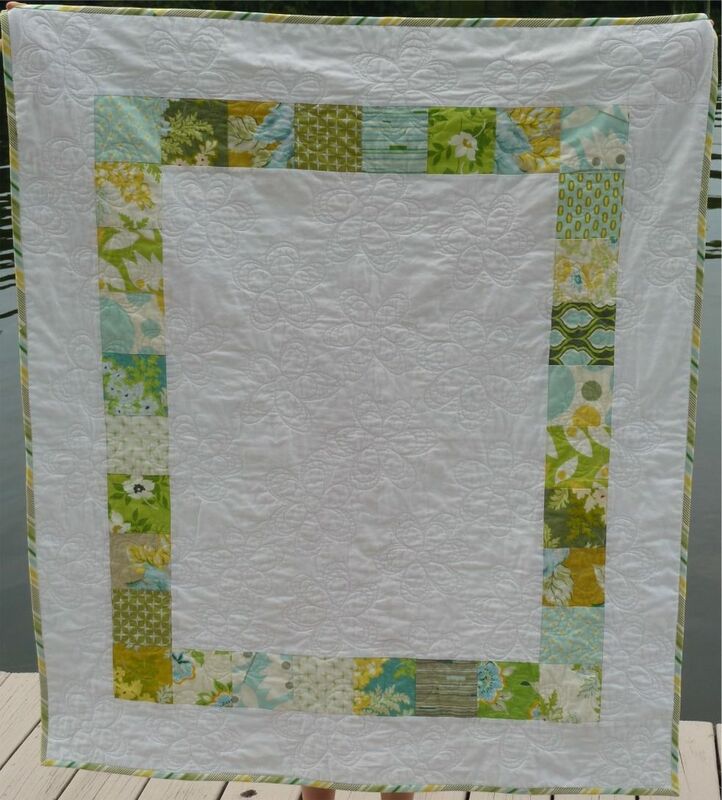 This quilt is only 37" x 44" and was specifically designed to fit a leftover piece of Warm & Natural batting I had kicking around. 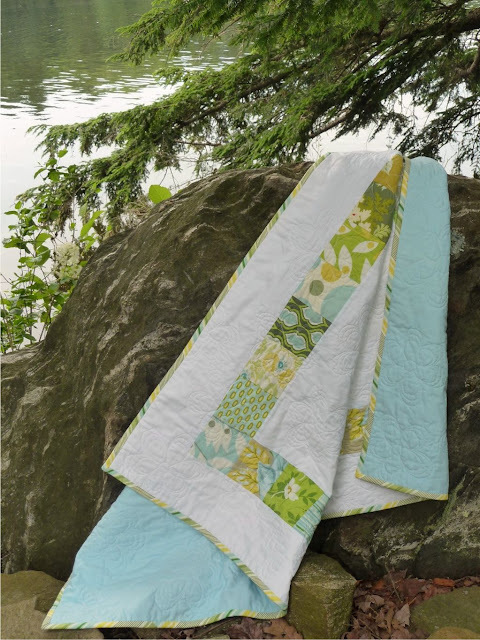 I almost always use Dream Orient these days and I'd forgotten how wonderfully 100% cotton quilts. 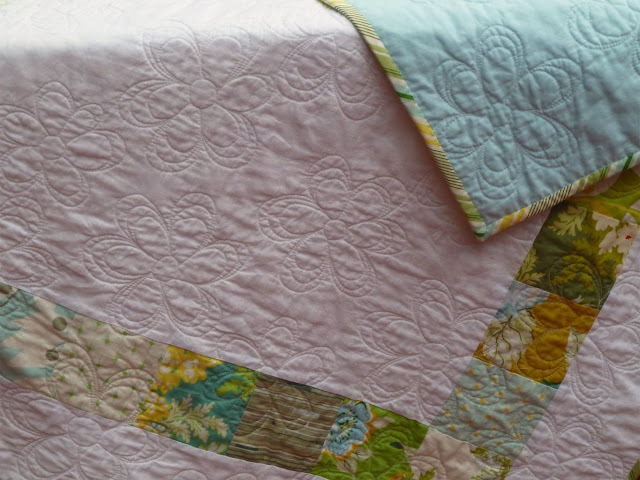 You could easily believe this was a vintage quilt pulled out of grandma's attic! I love the simple design and the binding. Such a great little quilt! Thanks for linking up!